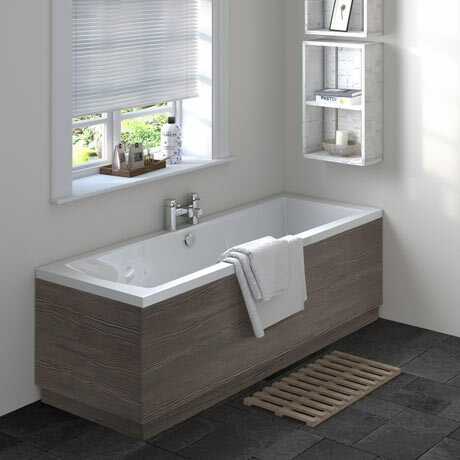 The Brooklyn Grey Avola double ended bath tub, features a textured wood effect finish which is extremely hard wearing and easy to maintain and has colour matched edging strips for providing a flawless look to the exterior. The colour will not fade over time and is water resistant – making it ideal for use in the bathroom. Constructed from durable and strong lucite acrylic, this stunning gloss white bath tub is sure to stand the test of time, and is available in 3 sizes.